You've now added Museum of Contemporary Art Kiasma to your itinerary. Kick off your visit on the 15th (Mon): browse the exhibits of Seurasaari Island and Open-Air Museum, then browse the eclectic array of goods at Hakaniemi Market, and then appreciate the extensive heritage of The Esplanadi Park. On the next day, take in the architecture and atmosphere at Rock Church, explore the world behind art at Museum of Contemporary Art Kiasma, then pause for some serene contemplation at Helsinki Cathedral, and finally take a stroll through Katajanokka. For maps, other places to visit, reviews, and other tourist information, read Helsinki vacation planning website . If you are flying in from Netherlands, the closest major airport is Helsinki Vantaa Airport. In July, daily temperatures in Helsinki can reach 25°C, while at night they dip to 15°C. Finish your sightseeing early on the 17th (Wed) to allow enough time to drive to Porvoo. Start off your visit on the 17th (Wed): get some fabulous bargains at Brunberg Candy Factory Shop, then examine the collection at Porvoo Museum/Holm House, then contemplate in the serene atmosphere at Cathedral of Porvoo, and finally don't miss a visit to Porvoo Old Town. To find other places to visit, maps, photos, and tourist information, go to the Porvoo driving holiday planning site . Drive from Helsinki to Porvoo in an hour. Alternatively, you can take a bus. In July, plan for daily highs up to 24°C, and evening lows to 15°C. You will leave for Puumala on the 18th (Thu). On the 18th (Thu), contemplate the waterfront views at Puumalan Lake. For reviews, other places to visit, maps, and more tourist information, go to the Puumala trip itinerary maker tool . Traveling by car from Porvoo to Puumala takes 3.5 hours. In July, daily temperatures in Puumala can reach 25°C, while at night they dip to 12°C. 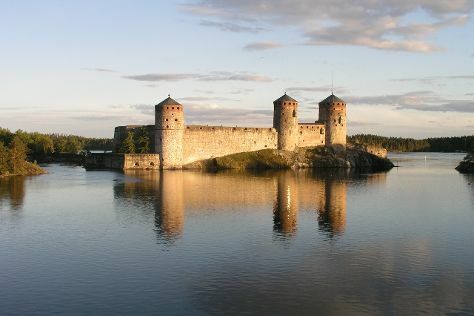 Wrap up your sightseeing on the 19th (Fri) to allow time to travel to Savonlinna. Start off your visit on the 19th (Fri): witness the site of a historic battle at Salpa Line, explore the historical opulence of Olavinlinna Castle, then pause for some serene contemplation at Savonlinna Cathedral, and finally stop by Taito Shop Savonlinna. Here are some ideas for day two: explore the activities along Siikalahti Wetland, then make a trip to The Parikkala Sculpture Park, then take in the dramatic natural features at Punkaharju Ridge, and finally see the interesting displays at Lusto - The Finnish Forest Museum. To see ratings, more things to do, maps, and other tourist information, read our Savonlinna vacation app . Traveling by car from Puumala to Savonlinna takes 1.5 hours. In July, daily temperatures in Savonlinna can reach 24°C, while at night they dip to 13°C. Cap off your sightseeing on the 21st (Sun) early enough to travel to Kajaani. Kajaani is a town and municipality in Finland. 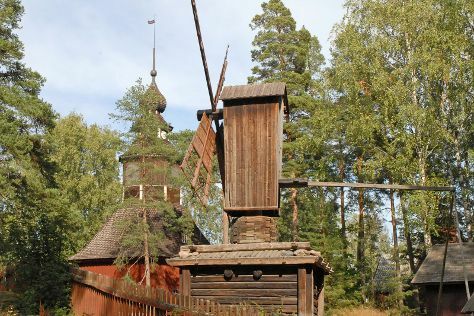 Start off your visit on the 21st (Sun): admire the masterpieces at Kajaani art museum, appreciate the history behind Pietari Brahen Patsas, and then get in on the family fun at Angry Birds Activity Park Vuokatti. Get ready for a full day of sightseeing on the 22nd (Mon): head outdoors with Kainuun Vaellustalli, then kick back and relax at Hiukka, and then take some stellar pictures from Vuokatinvaara. Plan trip to Kajaani with our itinerary maker to find out where to go and what to do. You can drive from Savonlinna to Kajaani in 4 hours. In July, daytime highs in Kajaani are 23°C, while nighttime lows are 12°C. You will leave for home on the 23rd (Tue).